"One of my favorite estates in Gigondas...The style here is staunchly traditional, and their wines always show the gamier, wild side of Gigondas." Viticulture in Gigondas dates back to Antiquity. The very name of the town its thought to be derived from the Latin Jocundus meaning "joyful." 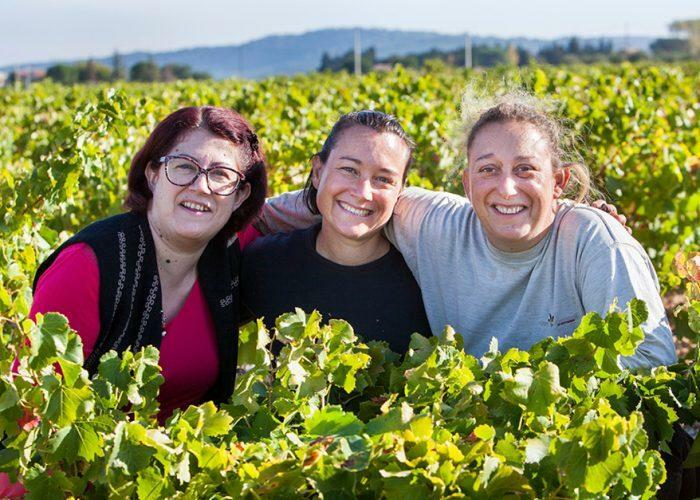 Fittingly, Domaine du Cayron is run by three joyful sisters, Delphine, Cendrine and Roseline Faraud, and overseen by their father, Michel. Considered by many to be the benchmark producer in the appellation, Domaine du Cayron produces a Gigondas of phenomenal richness and incredible longevity. You'd be hard-pressed to find a more terroir-expressive wine anywhere in the Southern Rhône; bold, explosive, stunningly evocative garrigues flavors careen from the glass, blaring their stamp of origin like a neon sign. These are old-styled, powerful wines of enormous fruit amplitude and irresistible personality. Furthermore, Cayron is among the most age-worthy of all Gigondas, delicious upon release, but improving for well over a decade and holding strong for a long time thereafter.